You are here: Home / Announcements / Stress… what is this that’s happening to me? Stress… what is this that’s happening to me? Blog from Jessica, who facilitates our Psychoeducation Group. Stress is a word used on a daily basis these days. It is used to describe such a wide range of feelings, I think we can become hard-pressed to define what stress really is. For me, stress is a huge umbrella term that many of us use to share our experiences of overwhelm, worry and struggles with day-to-day life. 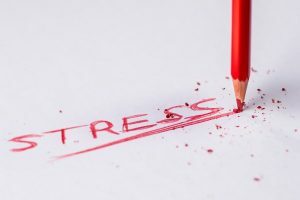 Stress can manifest in our minds, as circular thinking that is not positive or often real; in our actions, such as irritability or retreat from social contact; and in our bodies, in the form of sleeplessness, digestive difficulties and physical tension. We probably all have experienced some degree of stress at some stage in our lives – perhaps after the birth of a baby, when moving house or starting a new and challenging job. Sometimes, we just have too much going on in all areas of our life and our minds, bodies and emotional wellbeing begin to be affected. We are stressed! As a psychotherapist, mindfulness teacher and psychoeducation group facilitator, I tend to steer away from the word stress. Because it is too generalised and doesn’t allow us to consider, name and respond to our struggles in a more personalised way. Because in the settings I work in, ‘stress’ as I’ve been describing so far is often at the milder end of a spectrum of experiences. It does not always give full weight to the traumatic stress responses clients at centres like the Maya Centre may be facing. This is not to diminish anyone’s experience of stress in any way; it’s a serious set of issues, which need attending to. The women I see at the Maya Centre come along to my psychoeducation group because they want to understand what’s happening to them and learn how to use tools to recover. I teach women who have experienced a wide range of traumatic experiences (trauma is another umbrella term for sure!). 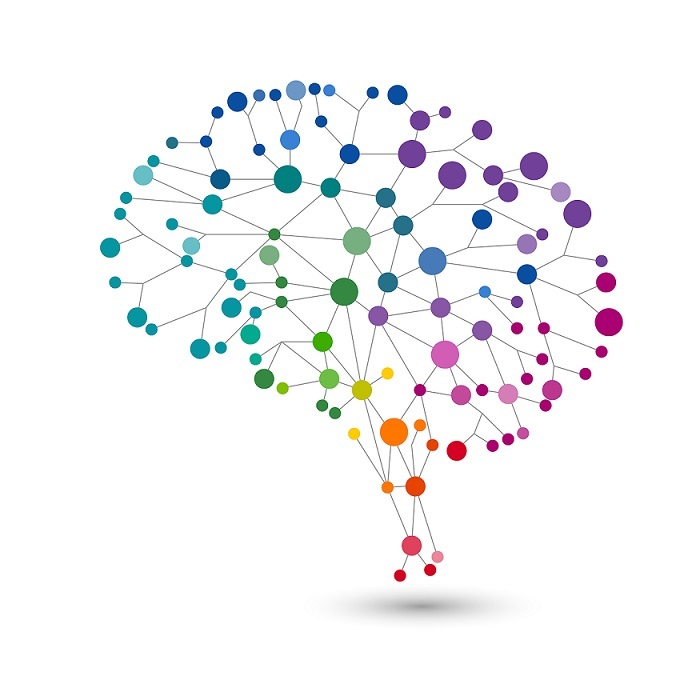 We look at how traumatic experiences affect our brains, nervous systems, bodies, thoughts, feelings, perceptions and how we connect to ourselves, others and the environment. I always start by saying that trauma is not an event that took place a long time ago, but it is something very alive in the way our brains and bodies are functioning right now. 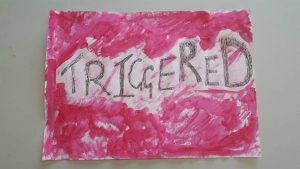 Triggered -The many triggers that cause stress and the anxiety, rage and anger that can go with it. Trauma triggers a set of responses in the human brain. This involves the primal back brain taking over, the clever front brain shutting down, and the nervous system getting really fired up or totally shut down. In my group, we explore how these events cause habits in the brain, the body, and in how we are experiencing our world right now. These habits can start to rule our day-to-day lives in ways that don’t serve us well. At this end of the stress continuum, where those who have experienced trauma may find themselves, we are looking at many or any of the following: severe insomnia, digestive difficulties, perceiving threat everywhere, panic, anxiety, feeling sick, feeling shaky, dry mouth, believing no one can be trusted, believing we can’t manage on our own, having images, smells and physical sensations of a traumatic event coming back to us suddenly and without warning, heart racing, difficulty thinking with any clarity, feeling numb, feeling terrified, feeling shame, depressed, rageful, shutting down, and not feeling connected to one’s body, feelings or to others*. This is the other end of the ‘stress spectrum’. It’s not an easy place to live in. Our own bodies can become places we don’t want to live in, that never feel safe or joyful. In the psychoeducation group I facilitate, I teach women tools and skills to teach their own bodies how to be relaxed, safe, breathe deeply, notice their environments without perceiving threat everywhere, and notice their own bodies without being utterly overwhelmed. I show them there are ways they can change how their bodies and brains function on a daily basis. Women who come to the Maya Centre have often had experiences that can lead to these kinds of traumatic stress responses. We offer a space where they can speak about their experiences and make sense of what their experiences mean, learn new tools and to breath, and develop ease and safety in their bodies, move with renewed freedom, connect with other women, be empowered to speak out and take control of their own recovery, be touched with kindness in a safe space with body therapists who understand trauma.